For our third annual trip, we focused our efforts on the newly opened community center and surrounding neighborhood where most of our students live. In 2015, we opened a community center in Carrefour, Bizoton, one of the poorest neighborhoods in Port au Prince Haiti. A licensed Haitian teacher assists the students in their schoolwork and studies, with the goal of helping them improve their academic performance and give them a safe space to be kids. With donations from supports and volunteers , we were able to provide a generator to fully run the community center and stock it with school supplies, clothing, and books for the kids. Cookies & More, INC offered to donate a year supply of healthy snacks to the center. Some of our students and team on the roof of the Community Center. Only 10% of Haitians have access to the Internet. Thanks to William David Tobin of Mission Capital Advisors, we were able to provide 22 Lenovo computers and internet access to the Community Center for our students. 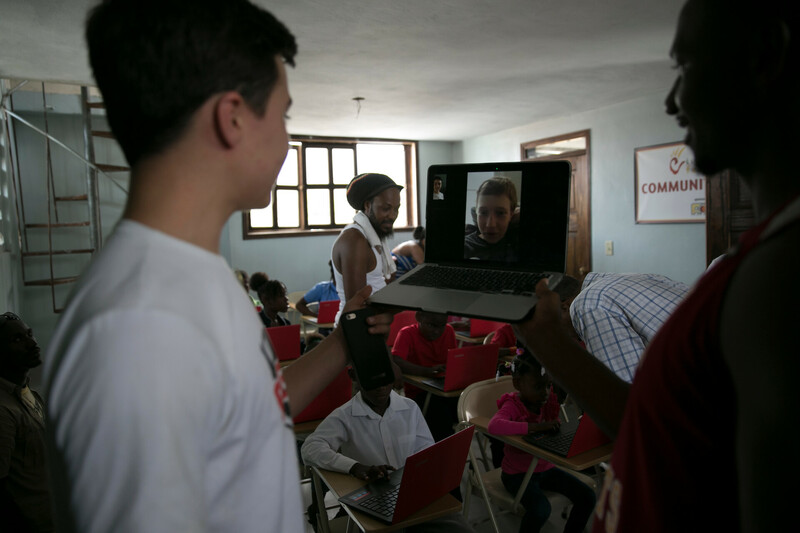 We held a video call between our A&M students in the U.S. and our students in Haiti, letting them meet each other and ask each other questions about their lives. The student's access to technology will be vital in their academic successes and futures, giving them skills and opportunities to help them succeed. 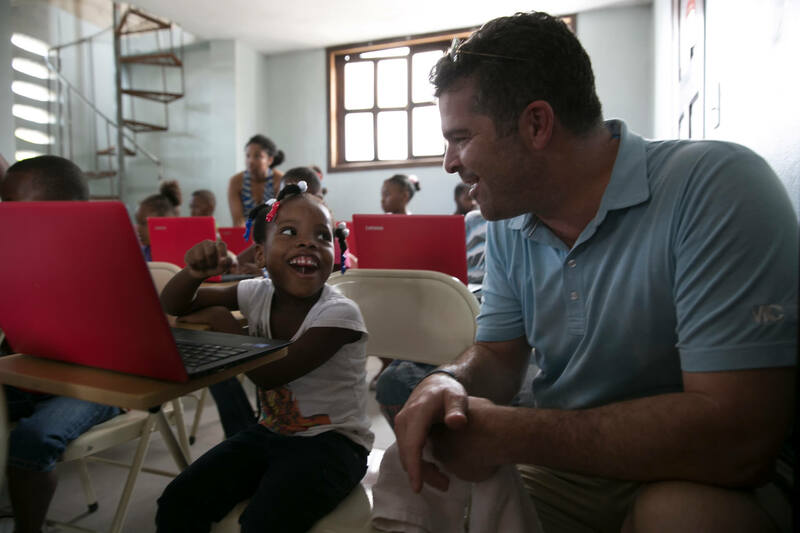 David Tobin, of Mission Capital Advisors, showing one of our students how to play a game on a Lenovo computer. Thanks for Mission Capital Advisors, we were able to provide 22 laptops and internet access to the center. 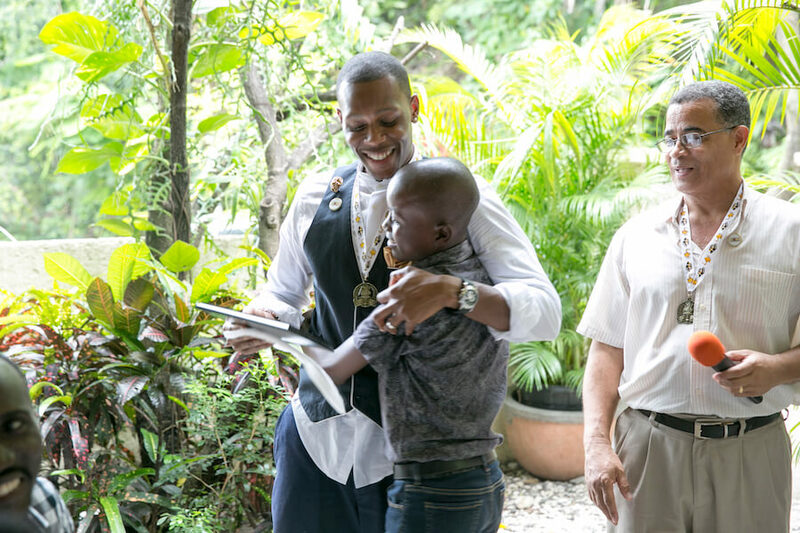 With only 10% of Haitians having access to the internet, having access to technology will be vital in our students' academic successes and futures. 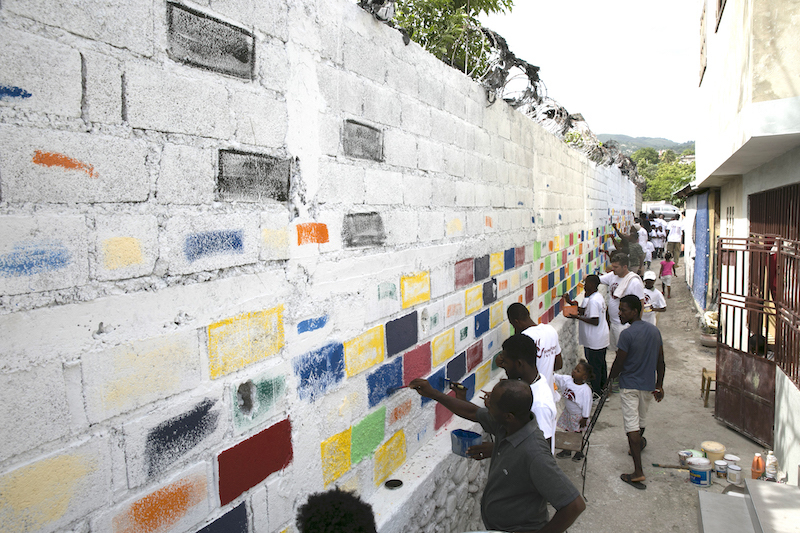 With the partnership of two local Haitian artists, and over 50 members of the Carrefour, Bizoton, community, we painted the wall leading up to the community center. After we completed the project, both community members and people just passing by stopped to take photos in front of it, bringing pride to the entire community. 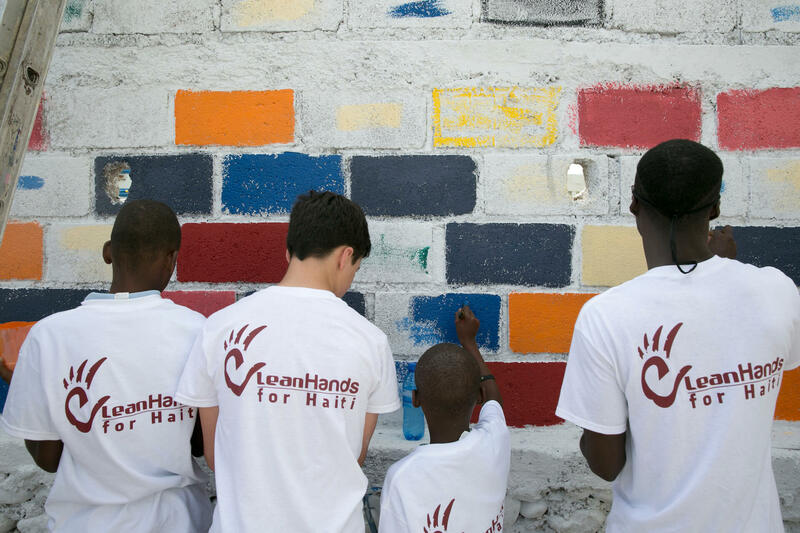 By painting the wall, we hope to bring life and color to our students and the community, symbolizing life, light, and hope. Over 50 people from the neighborhood came out to help us painting the walls leading up to the Community Center. Student of the Year, Fennelson Victor, and his family's house was destroyed during the devastating earthquake of 2010. For the past six years, his family has had to live with neighbors. Through sponsors in the United States, we were able to build Fennelson and his family a new house near the Community Center, with a reinforced tin roof and solid foundation. This new house is a big improvement from the house that was destroyed in the earthquake, a testament to the good things that can happen with hard work, dedication, and hope. 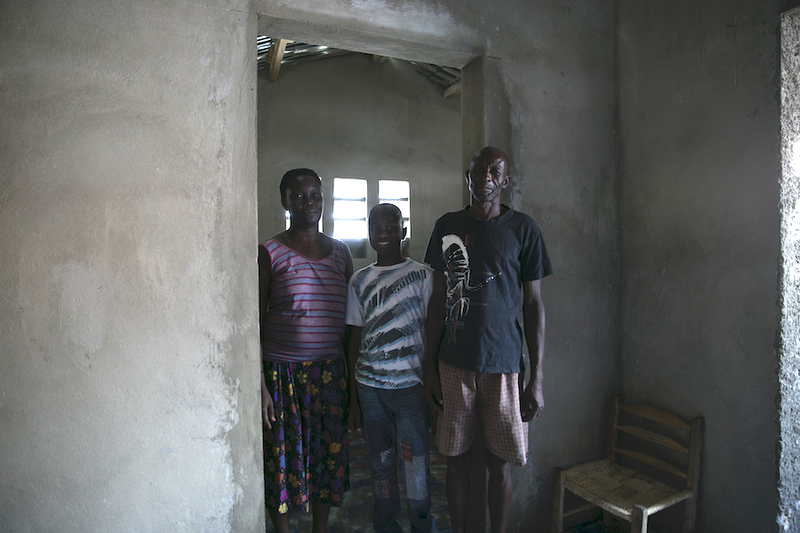 Fennelson and his parents inside their new home near the Community Center. The 2nd annual Formal Dinner. This was our second annual Clean Hands for Haiti banquet dinner, held at a 5 star restaurant for our sponsored students and their parents. For all these students, this is the only time they get to go to a restaurant of that caliber. We believe that this is important to show these students that there is another side of life, and with hard work and perseverance, they can achieve anything. Awards and gifts were provided for all of the students, and Fennelson Victor and Cadet Urnisse were selected as the 2016 Students of the Year. Fennelson Victor receives the 2016 Student of the Year award. Urnise Cadet receives the 2016 Student of the Year award. Building on our dental initiative and our growing partnership with Dr. CJ Loflin of Citi Dental Group, we held two days of dental clinics at Smile Dental Clinic, providing continued care for not only our students, but their families and 12 additional kids. 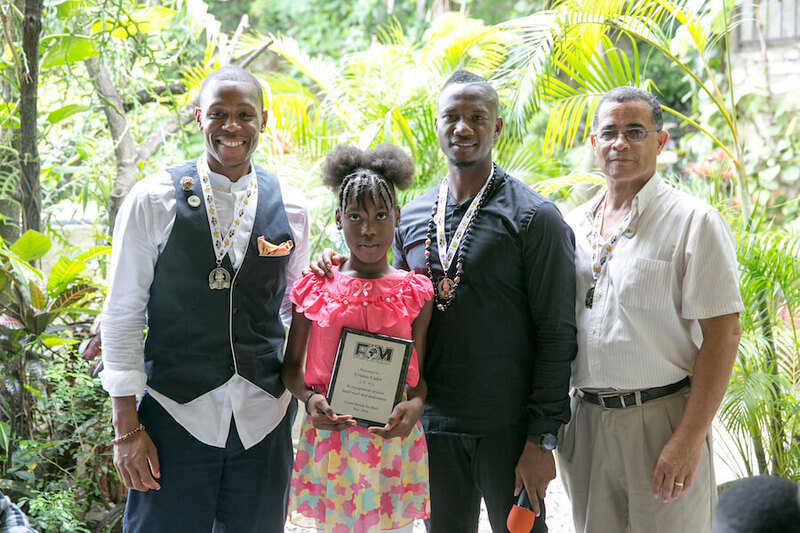 In a partnership with Basketball to Uplift the Youth of Haiti, we hosted a basketball clinic, health and dental triage, and gave away jerseys, balls, and medals to over 40 kids. On our 2015 annual trip, we concentrated our efforts in providing health and dental services for our students and other children.